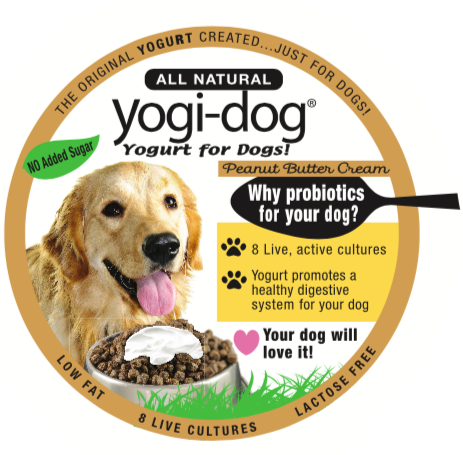 Products - Yogi-Dog: Yogurt for Dogs! 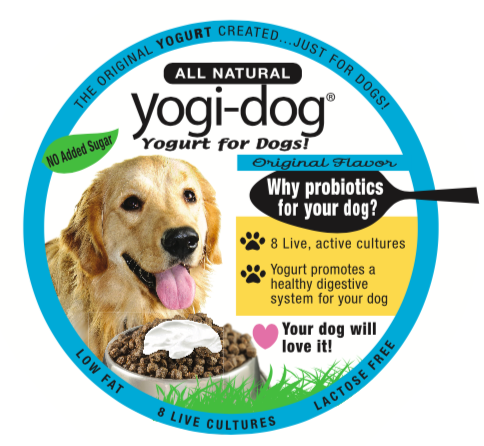 Yogi-Dog: Yogurt for Dogs has nearly twice the amount of probiotics than found in human yogurt! Not only is our yogurt healthy, it's tasty, too! 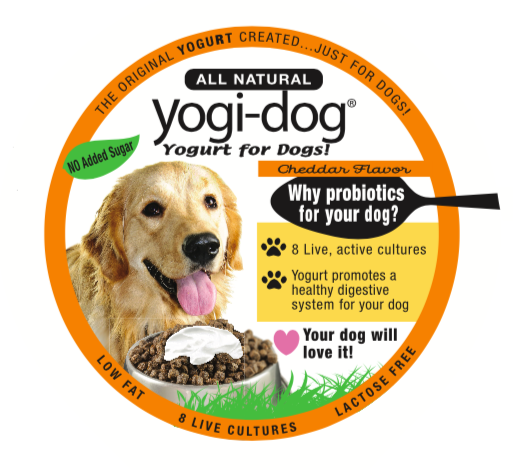 Your dogs will love it! Humans can eat it too! ​They'll have no idea that their favorite, everyday treat is actually beneficial for their health... But you will! And you should feel good about that. Absolutely nothing artificial. Just plain, good yogurt and a whole lot of probiotics! Simple as that. ​1-2 TBSP/Day = a Healthy Dog! But your pooch will want to eat the whole thing! *Suggested serving sizes listed below. Always consult with a vet before changing your dog's diet. Low Fat Milk, Pectin, Natural Flavor, Liquid Lactobacillus Acidophilus fermentation product, Liquic Lactobacillus Delbrueckii Lactis fermentation product, Liquid Bifidobacterium Lactis fermentation product, Liquid Lactobacillus Rhamnosus fermentation product, Liquid Lactobacillus Casei fermentation product, Liquid Lactobacillus Bulgaricus fermentation product, Liquid Bifidobacterium Animalis Lactis fermentation product, Liquid Staphylococcus Thermophilus Lactis fermentation product. Age, activity level, and weight goals will also affect daily feeding amounts.